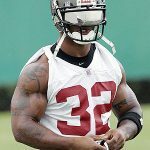 Looking to build muscle huh? Of course, you are or you wouldn’t be reading this. Supplements can help a lot when it comes to building muscle and building it faster than you normally would. Not all supplements are the same and it can be hard to figure out which ones are total crap and which ones are worth your while. Today we are going to give you the best supplements stacks that build muscle that are on the market today. A supplement stack is simply a group of supplements that work together to build muscle. Sometimes it can be just 2 supplements stacked together or some stacks also go up to 6 different supplements, it all depends. While one supplement can help, grouping a few supplements together that work with each other for a common goal can be much more effective than just taking one supplement and hoping it can do it all. 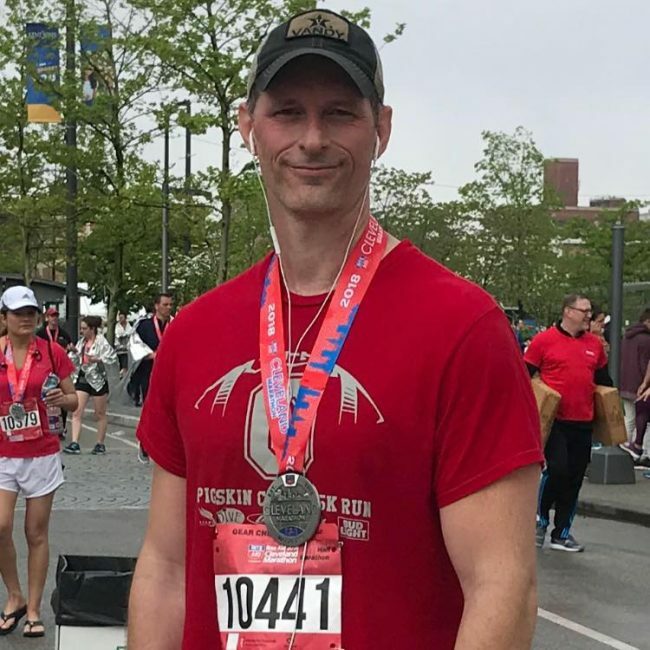 Commonly a supplement company will offer supplement stacks of their products that are made to go together or work well together and these stacks can be either geared toward building muscle or burning fat, today we are covering the best supplement stacks for muscle building of course. If you search around enough you will likely come across a website or two recommending you get a stack of steroid alternatives, these should be avoided. It’s not because they are dangerous or anything like that, it’s because they are completely ineffective. These “supplements” are usually just very small amounts of branched chain amino acids they are selling and marketing as “having the anabolic effects of steroids”. Truth be told steroid alternative supplements are about as effective as a placebo, they only thing they are really good at is taking money out of your wallet. Anyone who recommends them is not credible and you should run the other direction unless you really enjoy being ripped off. Here are the 3 best supplement stacks on the market that can help you build muscle. 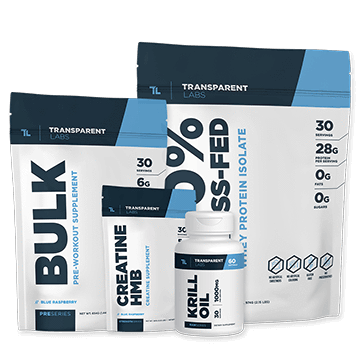 Topping off our list of the best muscle building stacks we have the Bulk Muscle Building Essentials Stack by Transparent Labs. This stack is loaded with high-quality muscle building supplements that will surely have you packing on muscle and strength fast. This stack comes with 4 different supplements all of which work with each other to add muscle. It includes their pre-workout designed for bulking, creatine HMB, krill oil and 100% grass-fed protein powder. This is their pre-workout supplement that is designed for people who are looking to add serious muscle and bulk up. This monster contains 20 active ingredients designed to give you increased energy, muscle building, muscle pumps and laser focus in the gym. This pre-workout is loaded with ample doses of citrulline malate for muscle and strength building, beta-alanine for delayed fatigue, betaine anhydrous for increases strength and focus it is also loaded with muscle building BCAA’s along with many other solid ingredients that deliver. Next, in the stack, we have Creatine HMB. 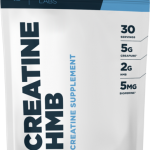 Creatine is already our favorite muscle building supplement and when you combine it with HMB it makes it even better. They also use Creapure in this supplement which is a German made from of creatine monohydrate that is the best you can get. 5 Grams of Creapure creatine combine with 2 grams of HMB will increase your muscle and strength gains fast. On top of that, they use 5mg of Bioperine for better absorption and bioavailability. This one is really top notch. Next, we have a seriously high-grade form of protein here with the 100% grass-fed whey. As you may know, protein is the building blocks of muscle This whey protein is from naturally fed, hormone free cows and is it also has one of the industry’s highest protein-by-weight ratios at 88% making this some of the purest muscle-building protein out there. On top of all that it has no artificial sweeteners, food dyes, gluten, or preservatives. This is some seriously high-quality stuff. Last, in the stack, we have krill oil. If you don’t know what krill oil is it is basically like fish oil on steroids. Krill oil is loaded with long-chain omega-3 fatty acids along with phospholipids, and Astaxanthin. It has even been researched to be up to 48 times more effective than fish oil. Those omega-3 fatty acids are essential for cellular health and division which makes them essential for muscle growth. It should also be noted that these essential fatty acids cannot be made by the body and need to be ingested, krill oil is an excellent place to get the muscle building fatty acids. Transparent Labs supplements all have no artificial colors, sweeteners, preservatives or GMO. The price on this stack is $158.00. This is a discounted price from the $176 it would be regularly if you were to buy all the supplements individually. They also have free shipping so there are no extra charges involved. Overall this Bulk Muscle Building Essentials Stack is a serious heavy-hitter when it comes to muscle building. Their pre-workout is loaded with 20 ingredients designed to build muscle and give you a superior workout experience. The superior quality creatine and HMB is a surefire combo to add strength and muscle. On top of that, the protein and krill oil will give you the building blocks to pack on even more muscle. This stack is loaded with high-quality supplements that will definitely pack on muscle. 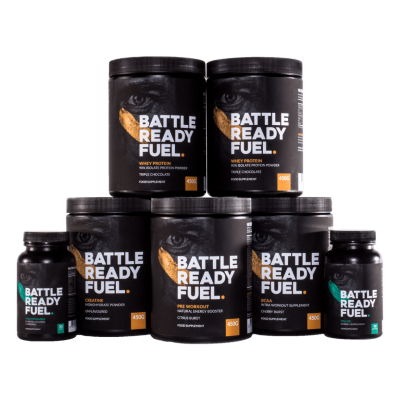 Next, we have the Build Muscle and Mass Bundle by Battle Ready Fuel. This stack features a whey protein, mass gainer, BCAA’s and a creatine for muscle building. This one is another pretty nice stack that can add muscle and strength. Let’s take a deeper look at the supplements in this stack. This protein powder features 24 grams of fast-acting whey protein, it also contains over 5 grams of BCAA’s. This whey protein has several delicious flavors that will delight your taste buds, peanut butter flavor sounds the most intriguing to us. Their pre-workout comes loaded with 21 active ingredients to stimulate muscle growth including beta alanine, creatine, whey protein, caffiene and Clarinol CLA just to name a few. This bad boy uses creatine monohydrate, our favorite form of creatine, to give you amplified muscle and strength building. The nice thing about this one is that it is only 10 calories and 2 grams of carbs. It also offers a whopping 5 grams of blended creatine, that is a very generous dose. Next, we have the BCAA’s. This product features 5 grams of BCAA’s per serving and has a 4:1:1 ratio – leucine, isoleucine, and valine. This will help you train longer, speed recovery and feed your muscles which leads to more muscle being built even faster. This badass stack also comes with a fish oil supplement. Fish oil is loaded with Omega-3’s to help speed recovery and build more muscle. They also added Vitamin E to this supplement so it won’t deteriorate and will be the highest quality possible. This beast is loaded with 12 vitamins and 13 minerals to help maintain muscle and be sure you are getting the nutrients your body needs to grow. For this stack, they recommend you take the whey protein after workouts or mid-morning, take the clean gainer after workouts or before bed, take the BCAA’s during your workout and the creatine after your workout. The price on this stack is $194.99. This includes free shipping and a money back guarantee and it is also a huge savings over what the supplements would be if bought individually. This stack is another really good option. The cost is really high but you do get more with this stack than any of the others. Basically, it has everything you could need to build muscle. If you can handle the cost this is another one to consider. Up next we have another really nice stack with The Build Muscle Stack from Legion Athletics, this one is a good stack of 4 supplements that are designed to build muscle, if you couldn’t already figure that out by the name of the stack. 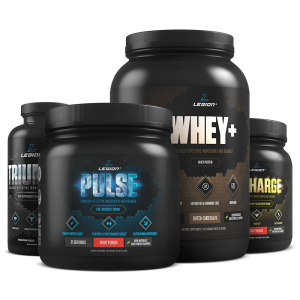 Legion Athletics has become one of the top names in the supplement industry so it isn’t much of a surprise to see that their stack is on here, let’s take a look at what is included in this stack. First up, they have their pre-workout supplement, this one is designed to give you a serious energy boost and improve focus. This one has a really nice dose of Citrulline DL-Malate as well as betaine anhydrous and beta alanine for nice muscle building and endurance. It doesn’t have near the twenty ingredients that the pre-workout in our first stack has but it does have some nice doses of the listed ingredients. Next up they have a nice whey protein to help you get that quick protein shot after your workout to help your muscles grow. 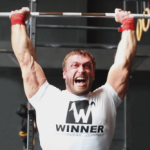 They use whey protein that comes from hormone and antibiotic-free cows from dairy farms in Ireland. This whey protein also doesn’t have any artificial flavors or dyes, GMOs, gluten or any other junk in it, just nice, clean protein. This is their post-workout supplement to help you recover and grow those muscles. This supplement contains 5 grams of creatine monohydrate which we love along with L-carnitine L-tartrate and corosolic acid. L-carnitine L-tartrate has been shown to aid in muscle recovery and may increase testosterone levels, both of which help with muscle growth. Lastly, we have Triumph which is their multi-vitamin. This multi-vitamin contains 35 ingredients designed to promoted health and well being and also plug holes in your diet. It can also boost energy and keep you sharp physically and mentally. For this stack they recommend you take the multi-vitamin with breakfast and dinner, Pulse pre-workout and whey protein before your workout and take the Recharge post-workout supplement and 1-2 scoops of the whey protein. The price on this stack is $140 which is $15 less than whey the supplements would cost individually. They also have free shipping so there is no extra charge. This stack by Legion athletics is another good choice for muscle building. We really like the post workout and whey protein they use. The pre-workout could use some more muscle building ingredients but we do like the 6 that they have in there. The multivitamin seems like a throw in to us and likely won’t really do much in the way of building muscle, it’s good to take but not really going to do much for muscle building at all. 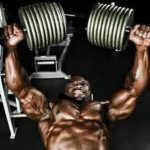 There you have the best supplement stacks for building muscle, our favorite is The Bulk Muscle Building Essentials Stack by Transparent Labs, it is loaded with high-quality supplements that are sure to pack on muscle including an awesome pre-workout that is designed for muscle building and has a whopping 20 active ingredients. On top of that, they offer superior protein, creatine with HMB and krill oil for muscle building and recovery. It really can’t be beat if you want to build muscle and you want to do it fast.